No Votto or Winker in the lineup again. Ignoring those two not being in the lineup, where the hell is Dietrich? He needs to be starting every game. Am I the only one who doesn't know who Kim Strassell is? Hey S&L....who was it saying Bellinger would be in the minors last year? C-bus still posts once in a blue moon, Boat Shoes, I don't think Isadore crossed over from the old OC, Ptown is left. Those are just some of the old posters that I can think of immediately. I’ll give you ptown. Although he claims he’s not liberal (kinda like how jmog claims he’s not a right winger). But cbus and boat shoes post maybe once a month, if that. There's a bunch of them. They just posted more when Obama was President. Sooo they’re not here anymore..
Can all the left wing people on this site just read 1 paragraph from the Mueller Report for me. It is found on page 1 and 2. I mean, it’s an election. He should be doing anything he can to differentiate himself from a marketing POV. And he IS gay, and that will help. He’s just being smart.. When I said “they” I was referring to the Browns. Week 17 is Browns at Bengals. Apparently Votto popped up to the first baseman for the first time in his career. To be honest, she's not wrong. Those churches will probably struggle to raise money to rebuild, if they manage to at all. Meanwhile, people pour $1B into a restoration project France and the Catholic Church are more than capable of funding. While I don't agree with shaming people for how they spend their money, the root of most charitable fundraising is an appeal to emotion. She's not right or wrong. What church money deserves to go to for a rebuild is a matter of opinion; there is no right or wrong answer. Whoever those people donate their money to is where they want it to go. It's not some internet SJW like Megan Romer's place to decide where it should go. Anyone know when the official schedule comes out? I thought 5:00, but clearly that isn’t it lol. Megan Romer says the 3 black churches need your help/money MORE than the church in Paris. We must listen to her! Reds lose another 1 run game. Now lost 4 in a row. To be honest, at times I follow complete morons in politics just for the laugh. I used to follow Alex Jones just to see the BS he spewed. 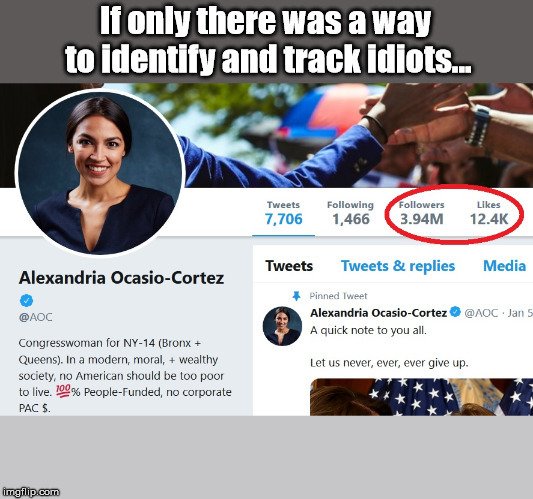 I followed AOC at one point. I followed Palin to see her stupidity, Bachmann for the same reason, and a few whack jobs on the left as well. In all cases eventually I get bored of reading and losing brain cells so I unfollow them.